G.P. Putnam's Sons, 9780425238691, 384pp. Sarah Blake is the author of the novels The Guest Book, Grange House, and the New York Times bestseller The Postmistress. She lives in Washington, D.C., with her husband and two sons. After Thomas tells his story of escape, the old woman in the train compartment says “There was God looking out for you at every turn.” Thomas disagrees. “People looked out. Not God.” He adds, “There is no God. 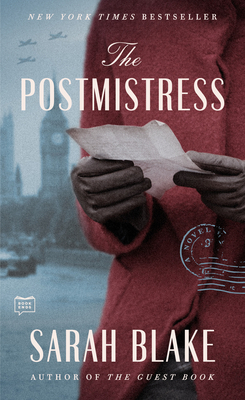 Only us.” How does The Postmistress raise the questions of faith in wartime? How does this connect to the decisions Iris and Frankie make with regard to Emma?